Last fall we took our family on a vacation to Southern California. 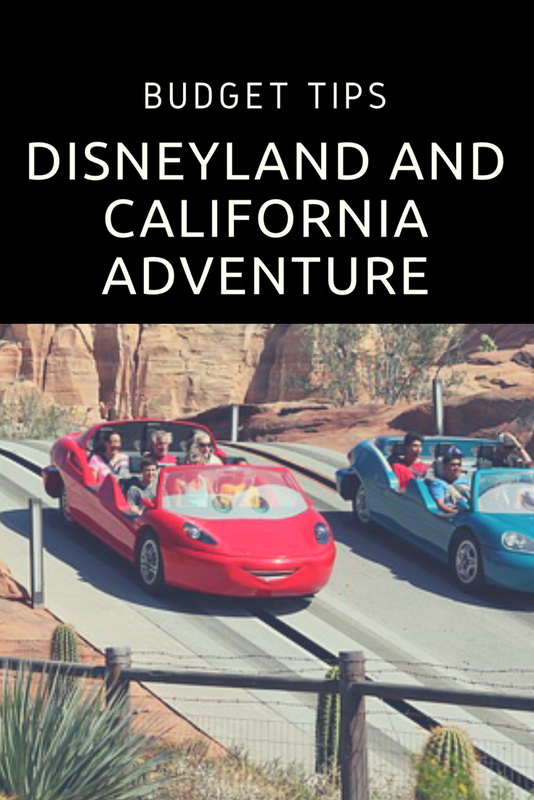 We spent a week exploring California, bonding as a family and playing at many of the fun amusement parks. We started planning this trip a couple of years before it actually happened (planner by nature here!). We knew we wanted to go on a family vacation in a year or two and we knew that we wanted to save up for it slowly. I wanted to share the steps that we went through as we planned, saved, and explored California all while on a budget. We spent a few nights in San Diego and a few nights in Anaheim. Today’s post will be all about our stay in Anaheim. Be sure to check out my post How we visited San Diego on a Budget to read about our few days in San Diego. First, we set our budget. We wanted to spend less than $5,000 on the trip. Once the budget was set we developed an aggressive 52 week savings plan. I pinned this chart up on my wall to keep me focused and excited as I saved little by little each week and got to cross off each week as our Disney fund grew. We found a great deal and exactly what we wanted in Springhill Suites Anaheim Maingate. I purchased the hotel through Get Away Today as part of a Disney Vacation package. We had the pool to ourselves every single night. The large breakfast was wonderful, they even had Nutella (my favorite!) for my toast. The room felt nice and spacious with two queen beds and a small couch (turned into a bed) and desk. I think my favorite part of the room was the large closet where we could hang up our clothes and stash our suitcases. I will be sharing below a $10 off coupon from Get Away Today later in the post. 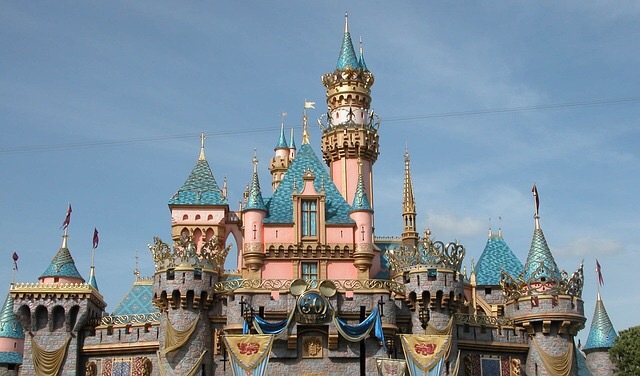 Get Away Today is the absolute cheapest place to buy Disneyland tickets. Promise. I have searched and searched and could not find any cheaper than Get Away Today offered. We decided to spend two days at Disneyland and bought a one day at each park pass. 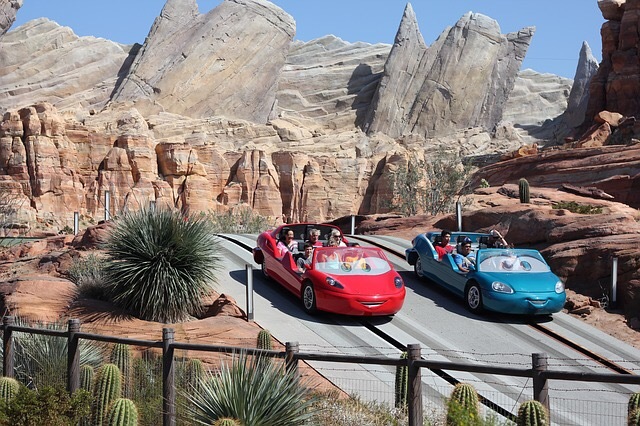 This made it possible for us to spend an entire day at both Disneyland and California Adventure. The parks are each so large, I find it not worth the extra money to buy the park hopper ticket. We bought these tickets as part of our vacation package with the hotel. 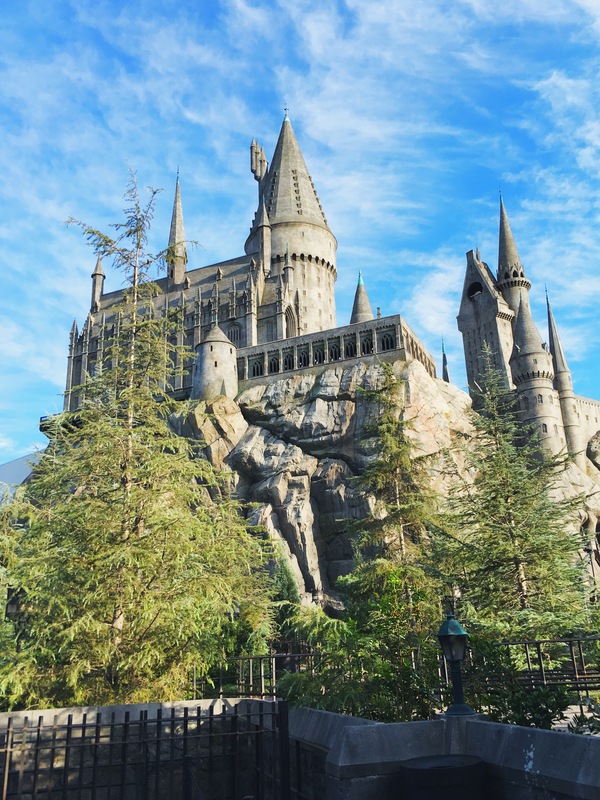 We added a one day pass to Universal Studios to our vacation package and had so much fun spending the day exploring Hogwarts and Hogsmeade. 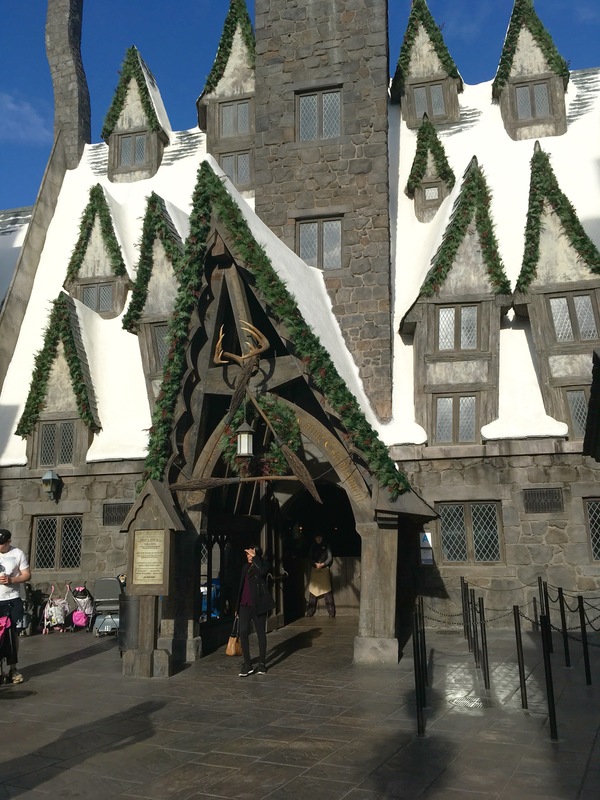 If you are a Harry Potter fan, you MUST visit Universal Studios. The attention to detail was incredible! Plane tickets for a family of five are pricey, so we decided to drive the 13 hours to California. We made it a fun road trip experience for our kids, making multiple sight seeing stops and playing many many car games. While in Anaheim we decided to use the ART shuttle to take us to and from the Disneyland resort. The ticket prices for the shuttle was very reasonable as part of our package from Get Away Today. It was so nice to just sit down on the shuttle and rest our tired feet after a long day playing at the park. The shuttle was always available for us with very little wait time and the ride to and from the hotel was short. I’ll start off by saying that our family are not big foodies. I would rather spend money on experiences then food. We decided to only purchase one meal a day. Before driving to California I packed up a cooler full of snacks and makings for sandwiches. Breakfast was provided by the hotel daily. We packed sandwiches, bagels and snacks into the amusement parks with us every day. For dinner, we ate at budget friendly restaurants inside the parks. It was so handy having the snacks all packed into individual serving baggies, we whipped them out while standing in long lines and it helped keep the kids happy and occupied. 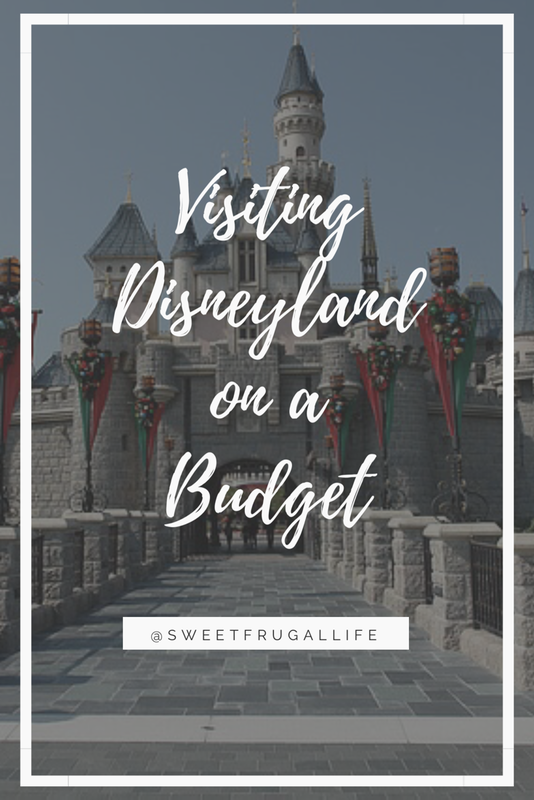 Below I listed a few of our favorite budget friendly places to eat while inside the parks. Bengal Barbeque: The Bengal Barbeque has really tasty meat and vegetable skewers for under $5! 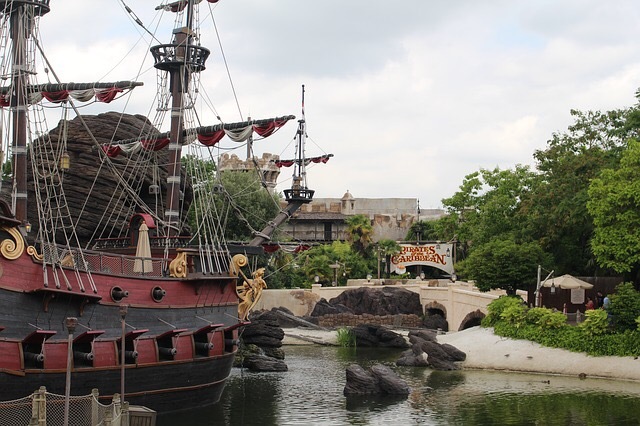 Cafe Orleans: The Cafe Orleans is not your cheapest option, but I had heard so many great things about the Monte Cristo Sandwich I decided to include it in our food budget. The Monte Cristo Sandwich is only served at the Blue Bayou and Cafe Orleans. The sandwich is the exact same at both restaurants, but $7 dollars cheaper at Cafe Orleans. So, if you want to try the sandwich do it Cafe Orleans! We also decided to split the sandwich between my husband and I and then we split a plate of kids Mac and Cheese between my three kids. Splitting between the three kids was a little small, next time I would buy two kids orders to split. For the five of us we spent about $30. Which is the most we spent on a meal the entire trip, but totally worth it to me to get to taste that delicious cheesy Monte Cristo Sandwich! Rancho Del Zocalo: Rancho Del Zocalo offers delicious food with very generous servings. This is another great option for splitting an entree. Cozy Cone Motel: The Cozy Cone Motel offers different snack options that could be turned into a small meal. We ordered a couple of chili cone quesos and they were so good and so satisfying, and under $10! Yay! Pacific Wharf Cafe: The Pacific Wharf Cafe has great soup and salads each for around $11. My favorite is Broccoli and Cheese soup served in their famous Sour Bread Bowl. So GOOD! 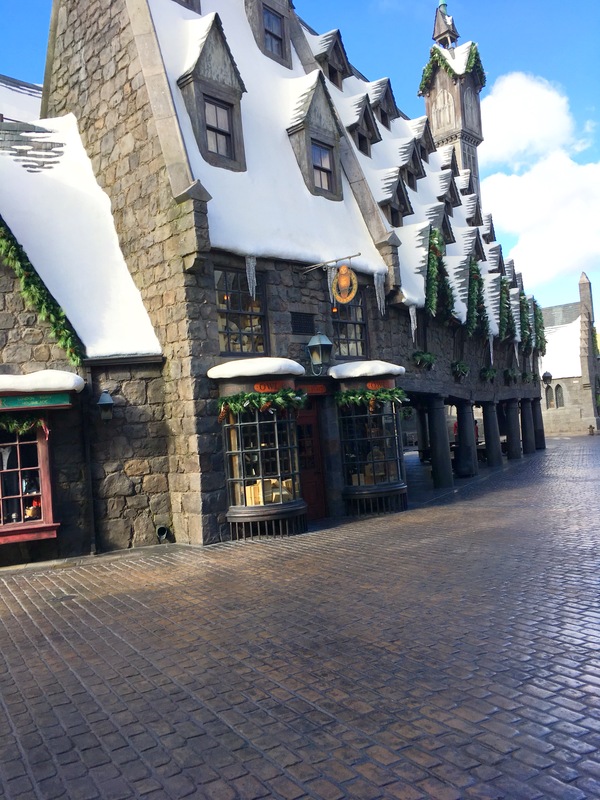 We weren’t to adventurous while eating at Universal Studios. We ate at Panda Express which is located at the bottom lot. 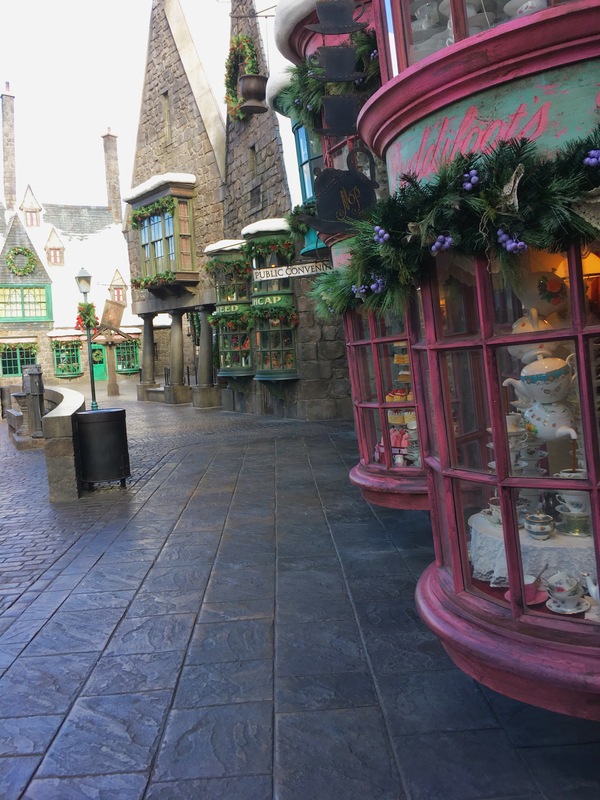 We had a hard time narrowing down which restaurant to try at Universal and ended up going the easy safe route. Panda Express had good cheap options and the service was very quick. A month before we left on our vacation I printed off some play money and told my kids that they will need to do chores in order to earn money to buy souvenirs while on our vacation. They earned between $20-30 total. We told them that this was their money to spend however they wanted, but once it was gone it was gone. If they wanted a souvenir or a fun treat that we weren’t going to buy for them they had to make that decision if they wanted to spend their money on it or not. 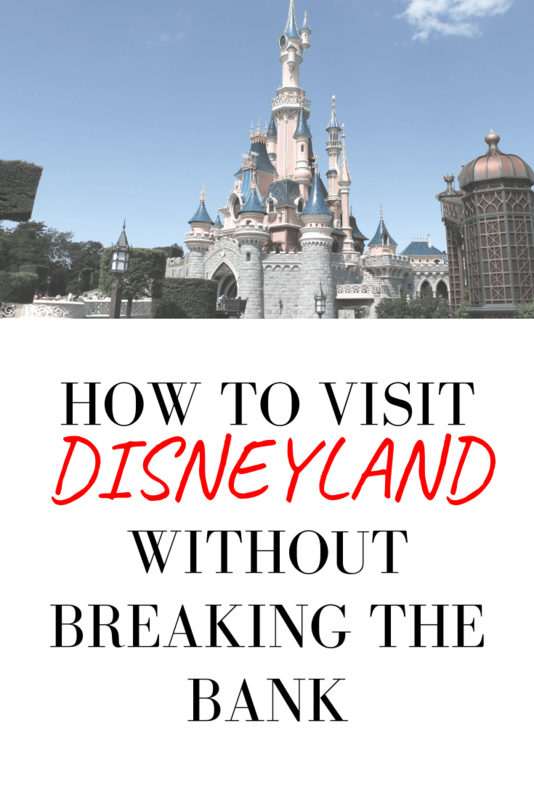 This really helped us to not impulse buy and overspending while in the park. We all had our limit and we stuck to it. I have also heard a great tip if you are a Target shopper. Target has Disney Gift Cards available to buy and these can be used within the park. If you use your Target Red Card you get an automatic 5% off all purchases, and this counts toward gift cards too! I didn’t try it, but I think it is a really smart idea. We like to use our Discover Credit Card (and pay it off IMMEDIATELY) for big purchases like traveling. 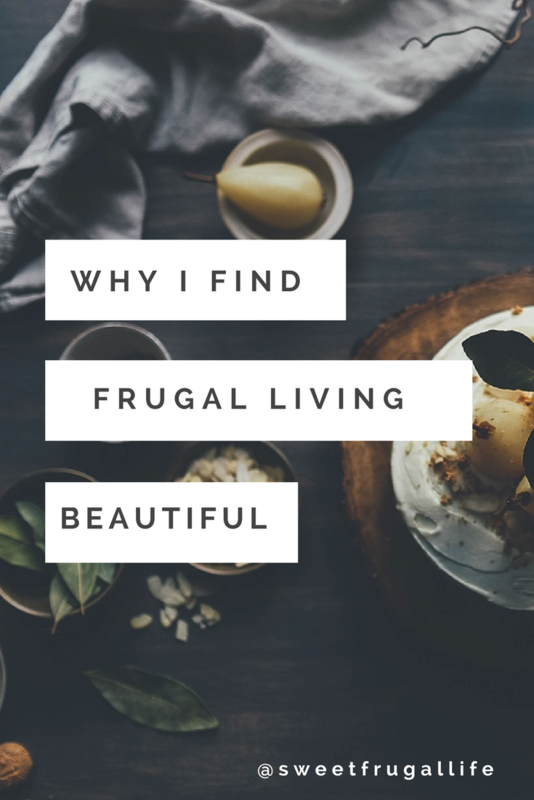 I explained all about it in my blog post titled The one idea I disagree with Dave Ramsey on. Discover will sometimes give 5% cashback towards travel purchases. After I have budgeted and saved enough money I then wait for this 5% cashback offer. Once Discover offers it I then purchased the hotel package. In this case I was given around $200 cashback. A great deal! We had such an amazing family vacation with lots of memories made and laughter shared. I never feel deprived when traveling on a budget. We plan, prepare, and spend wisely. It makes for a guilt free vacation. 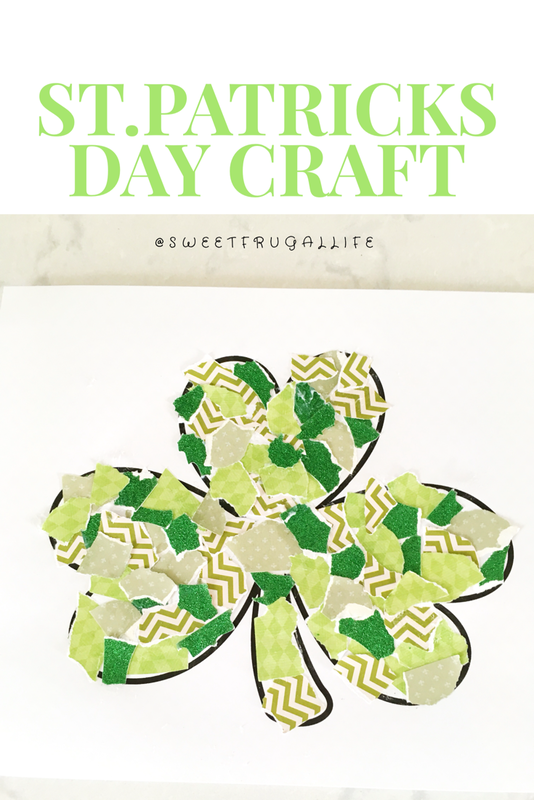 If you are looking into planning a family vacation on a budget Get Away Today will give each of my readers $10 off a vacation package when you use the code SweetFrugal at checkout. I recommend this travel website to anyone who is looking into good deals on travel! Do you have some favorite budget friendly travel tips? Please share them in the comments! I would love to learn more tips! That is such a clever plan. We go to Disney every year in December. We end up renting a house in Kissimmee, FL and it’s way cheaper. I definitely would use this plan when we plan to stay on Disney property. Great post and very detailed on how to save on a very great adventure. my kids are still young but we have talked about taking them in a couple years. will come back to this, thanks.